I’ve written about Leapforce (search engine evaluators) before, but haven’t ever written about Appen. 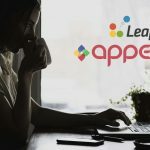 Leapforce, Appen, and Lionbridge are all “rater” type independent contracting jobs, so it makes sense Appen is set to acquire Leapforce. Here’s the press release I ran across today . . .